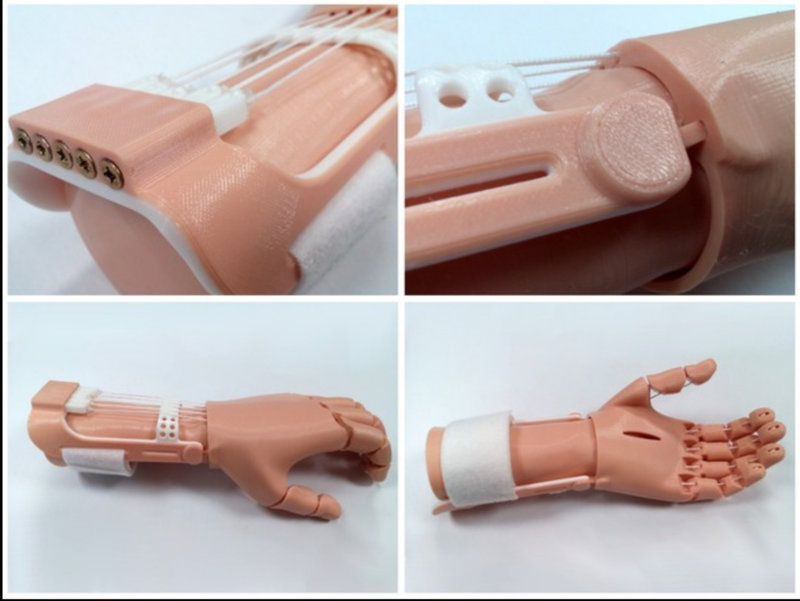 Wrist-Powered Devices — Form5 Prosthetics Inc.
Wrist-Powered Devices operate by residual wrist movement which opens/closes the fingers on the hand. Recipients needing any of the following devices’ must have some if not full wrist movement in their residual limb. 'The Phoenix Hand' by e-Nable was designed collaboratively by Jason Bryant with replacement components by John Diamond, Scott Darrow, and Andreas Bastian. Form5 offers both versions of the design; one with thermoform cover built into the palm, and one where it is separate. Interested in 3-D printing this device? Click 'Learn More' to download the open-source designs. 'The Raptor Hand' by e-Nable was designed collaboratively by some of e-NABLE’s top designers. "Features include 3D printed snap pins, a modular tensioning system, and compatibility with both velcro and leather palm enclosures." 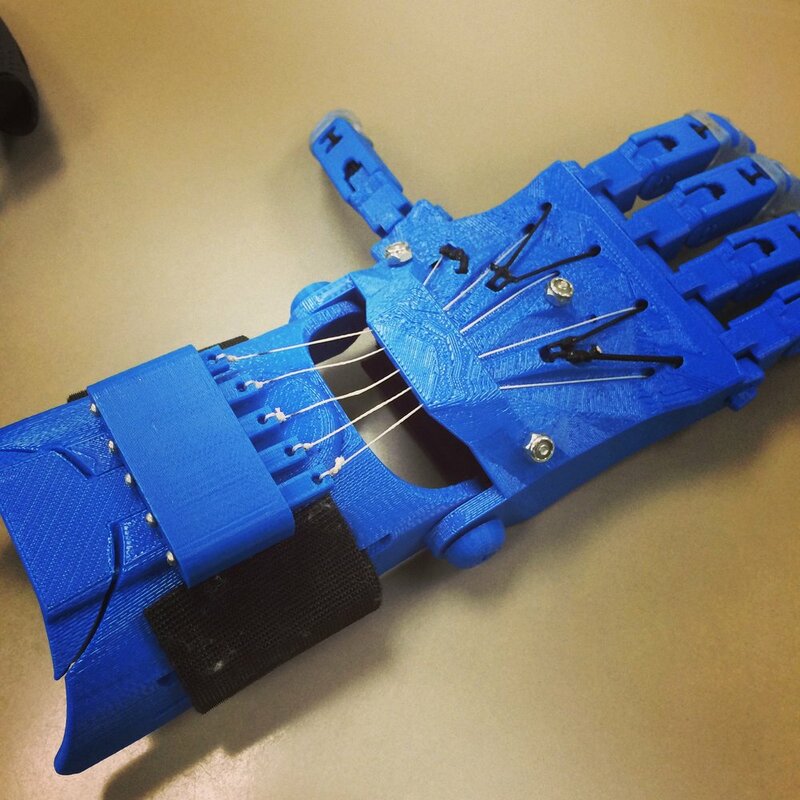 ‘The Flexy-Hand’ and ‘Flexy-Hand 2’, designed by Steve Wood, are 3D printable prosthetic devices made using flexible hinges. Using flexible filament for the hinges means that no elastic cords are necessary to return the fingers to their outstretched position." Form5 currently offers only the Gyrobot remix version of the ‘Flexy-Hand 2’.